Americans love ordering stuff. Usually I am behind that impulse—I’ve ordered basically everything a person can order, including a pet (once I got a chemically-engineered frog in the mail but I was also 12 at the time). But it’s time for us to reassess why we are so scared of leaving our houses to experience things that necessitate leaving our houses. I’m specifically referring to a company called ShipFoliage.com, which will mail you a “three leaf bundle” for $19.99. 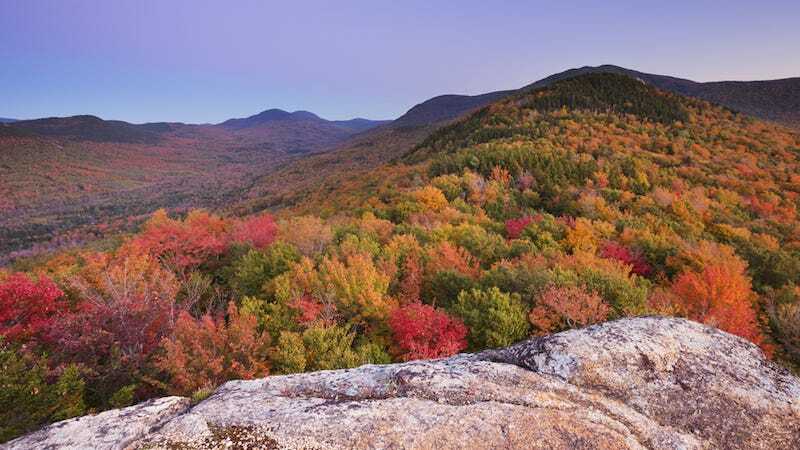 “All leaves are collected from New England, and undergo a unique preservation process. The process enhances the foliage color contrast and also preserves the leaves for years to come,” the website reads. According to Time, these same criminals will sell you snow (ie. chilly water) in 12 and 22 lb. boxes in the winter time. Dummies, leaves are just dead tree hands. Hiking is not fun because of three perfect dead tree hands. It is fun because of millions of dead tree hands. You are paying someone $20 to go on a fun hike and mail you garbage. If this is something you are actually considering, place an order for a million. Otherwise, wow, you are a Grade A chump.